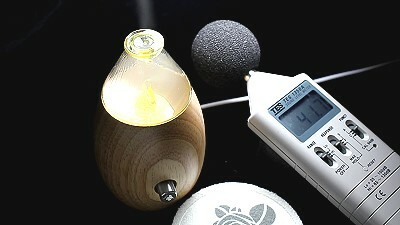 Review and Comparison of Noise Level Test - Trillia MINA II Nebulizer Aroma Essential Oil Diffuser-ARTICLE | Trillia Health & Beauty Biological Technology Co., Ltd.
MINA II equips our new generation micro air pump, Euros III. Euros III is outstandingly on efficiency and output power performance, but it runs with low noise level of 50dB below, and the noise is reduced further to 5dB around when the pump is packed into the wood base with the particular assembling know-how and seamless wood base design from us. Therefore, MINA II operates quiet than most of the diffusers in market place. Tested By : Engineering LAB of Skyllink Technology Co., Ltd. Applicant: Trillia / Skyllink Technology Co., Ltd.
Applicant：Trillia / Skyllink Technology Co., Ltd.
1. Test the noise level that caused by MINA II when operated and compare with the control group diffusers. The diffusers of control group includes three ultrasonic type diffusers( A, B, C) and one nebulizer type diffuser(D). And all the diffusers tested under maximum speed. 2. Control all the tests are executed in the environment of 36dB background noise level. 3. Put one piece of thick black cloth under the diffusers to eliminate possible covibration noise caused by the contact with outside material. 4. 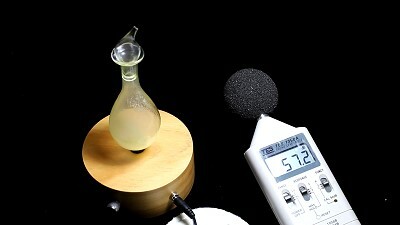 Noise collection microphone is located at the point of 100mm away from main body of tested diffusers. 5. 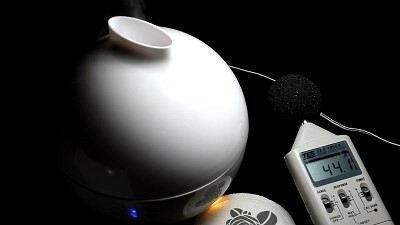 The “ Diffuser noise” of ultrasonic type diffuser includes micro fan noise and water waving noise. 6. 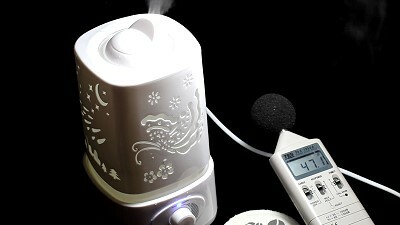 The “ Diffuser noise” of nebulizer type diffuser includes micro air pump noise and air jet noise.